Once a chocolate lover, I am no longer fond of this dark beauty, which is universally loved by one and all (except me). But I had a desire to make chocolate kulfi and cake since I am at mom's palce, where brother and bhabhi love chocolate. An idea came to my mind to try out oats chocolate kulfi. 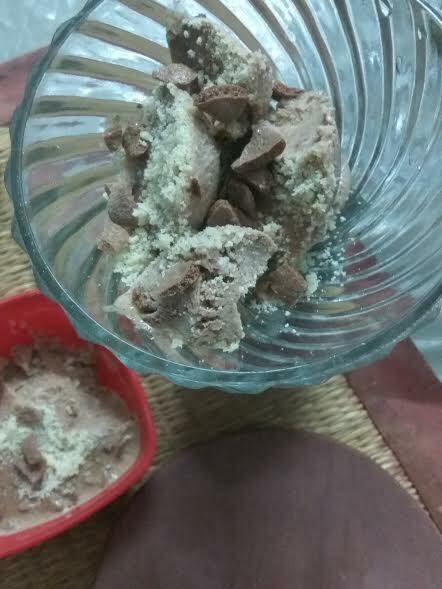 The same day Satinder Wadhwa aunty requested a healthy chocolate kulfi recipe. I could not say no to her. This further inspired me to try my hands at something chocolaty, and this was exactly what I did. As you know about my love for oats, I wanted to include my favorite cereal grain in the recipe. This was primarily to create interest toward oats in my family, who are not oats fans. When you do not have oats fans at home, what can you do to spark interest in them? After all, oats is one healthy cereal grain, with umpteen number of health benefits for men and women, including children. Besides dietary fiber, oatmeal supplies your body with an array of nutrients and helps ward off heart disease, lower cholesterol, and keep you healthy and happy. 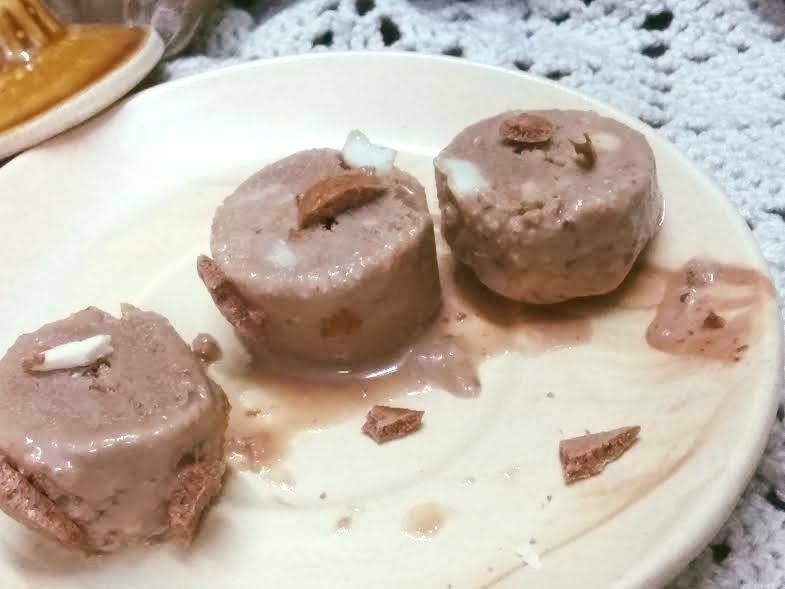 I am so happy the oats kulfi with chocolate was an instant hit with my brother and dad - brother does not like oats and dad does not like anything chocolatey. But I blended both together, and the result was just awesome. The oatmeal dessert was loved by everyone at home, including my toddler niece. I wish I could capture a click of my cutie niece savoring the oats kulfi. Making this oats chocolate kulfi is as easy as blending all ingredients and setting in the freezer, topping the yummy, creamy delight with nuts and chocos for those crunchy bites. Yes, you're done in an instant. If you are a chocolate lover and want an intense chocolatey flavor, you are free to increase the amount of chocolate in this recipe. This is a foolproof oats chocolate kulfi recipe that will get you compliments from chocolate lovers! Dry roast oats. Grind to powder. Mix with 3tbsp water and allow it to soak for 10 mts. Oatmeal will become gooey and sticky. This is exactly what we want. Next add the wet oatmeal to the food processor. Drop in milk powder, almond powder, and a few choco chips along with chocolate pieces. Add honey and run the processor until everything combines thoroughly. Next add warm water and mix everything again. Now it's time to pour your oatmeal kulfi in a bowl and mix with chopped nuts and choco chips/choco flakes. 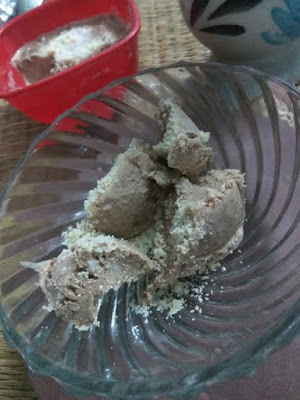 Pour the mixture in kulfi moulds and garnish with almond meal. Set the oats kulfi in freezer for 3-4 hours or longer in hot weather. 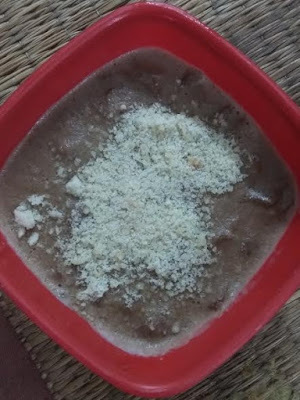 Enjoy yummy, creamy chocolate oats kulfi. You will love it, Poonam.Thanks for stopping by!